Neck and back injuries are no joke. More often than not, people neglect these particular areas of the body until it starts to give them trouble. Whether you have an acute or chronic injury, neck and back pain is something that you shouldn’t have to live with. If you are in the St. Paul, MN or Highland Park, MN area, consider visiting Caron Chiropractic Clinic. Recently, there has been an influx of research testing the efficacy of laser therapy as it relates to pain and healing. Thousands of these studies have shown positive results, which is a large reason why more and more places are offering laser therapy and more patients are asking about it. 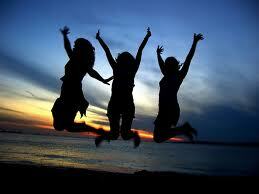 At Caron Chiropractic Clinic, we have been doing laser therapy for years. We offer this treatment for the same reason we offer all of our other treatments, to help heal your body. If you are in St. Paul, MN and looking for a place that does laser therapy, look no further than Caron Chiropractic Clinic. With the plethora of Chiropractors in the Twin Cities, it oftentimes can be hard to choose who is the best pick for you. 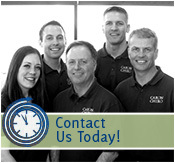 At Caron Chiropractic Clinic, P.A., we have an A-team staff with years of experience and true dedication to the field. We see each one of our patients as individuals and treat them with the care and consideration that they not only deserve but is necessary for them to achieve true health. With years of experience and happy clients, our practice has been able to expand from Saint Paul to North Oaks. We have been serving the Twin Cities for more than 20 years and have an award winning staff, with Dr. Marty Caron winning “Chiropractor of the Year”, and Matthew R. Caron being the 2004-2005 President of the Minnesota Chiropractic Association (MCA), our staff is well connected with the community, and we have some of the most knowledgeable chiropractors in the state.